This is the first instillation of what will be a monthly event guide from all of us here at Therapy4.com and the DeepSeaChronicles.com blog. 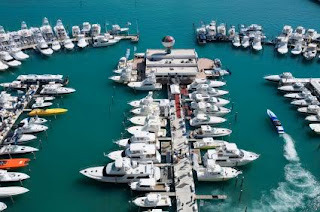 The Miami International Boat Show is held at several locations and is the largest boat show in the world. It showcases more than 2,000 exhibits with the latest powerboats, sailboats, engines, electronic and accessories. Visit all three of their locations (Miami Beach Convention Center, Miamarina at Bayside and Sea Isle Marina and Yachting Center) during the 4-day show. This internationally acclaimed festival, sponsored by The Food Network, features some of the finest cuisine and libations in the World. The festival features celebrity chefs, rare wine, delicious cuisines and more. The festival is celebrated throughout South Beach’s many fine restaurants and other event locations. Attendees can eat dishes cooked by celebrity chefs and sample the finest wine in the world. After you’ve had your share of awesome boats, fine wine and delicious cuisine, get some laughs at the South Beach Comedy Festival sponsored by Comedy Central. The Festival brings some of the funniest comedians in the country. Last year the festival featured Doug Benson, Adam Carolla, Kevin Hart, Gabriel Iglesias and Wanda Sykes. The top comedians typically perform at The Filmore Miami Beach with local comedians performing throughout clubs and bars in Miami Beach. We hope you enjoyed our guide and remember to visit the folks at Therapy IV while you’re in Miami Beach for the best deep sea fishing experience in Florida.